My furnace, actually an electric heat pump, wasn’t keeping up to holding temperature too well. Checked filter. Oops… went a bit too long. Reminder to others, check your filter now. 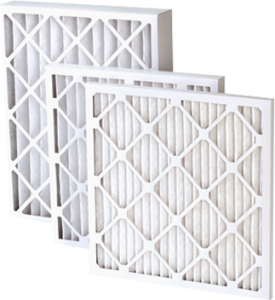 Very dirty filters will definitely reduce system efficiency (higher operating cost) and could damage equipment. Don’t put it off. Also don’t run without filters if you have a heat pump or air conditioning in your system. A few days won’t hurt but all season could plug indoor coil fins. After 50 years in the HVAC business, I have changed and installed a lot of filters. Even electrostatic filters usually have an after filter that can get clogged due to neglect or no knowledge that it exists. High end force air (FA) HVAC systems sometimes have a signal system to warn when filters are getting plugged, but this is rare. The high end HEPA type pleated filters are the best and worse of the filters. They can capture very small particles but are nearly impossible to see they are plugged. They reduce flow and become more efficient at filtering the dirtier they get up to the point where they can stop all air flow. Change them on a schedule rather than visible condition. 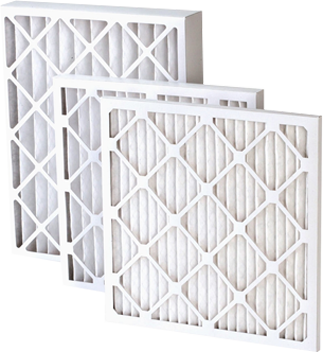 Filters are an important part of your FA HVAC system. Every FA system has some form of air filtration, or did when new. If you have no idea what I am talking about, its time to have a local professional examine your system. It’s money well spent and affects your comfort, life of equipment, and health as well as cost of operation.